Empress Wu is the kind of gal who simply must have a jewel named after her. Last year, I started working on a very elaborate mechanical piece in her honor. While I was slaving over the elaborate piece, my designing friend Zang Toi asked for dragon cufflinks. That was all the excuse I needed to temporarily set aside the high-tech Wu tribute to do a somewhat lower-tech one. I admit that I don’t like it when Wu is called a dragon lady because she wasn’t any more murderous than the male rulers of her time. If she’s going to be called a dragon lady, they should be called dragon men, no? Still, dragons are a powerful symbol in Chinese mythology and culture, and Wu deserves a jewel that properly represents her badass-ery. As you can see from Zang’s links, below, “low-tech” for me is still very elaborate. 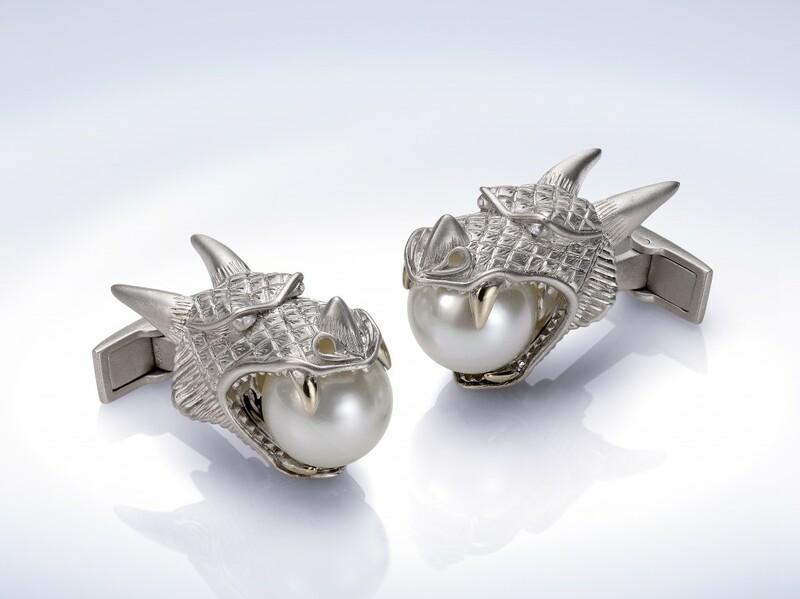 Empress Wu dragon cufflinks. Click for more information. I told Zang that I wanted to add the dragon design to my line, which I sometimes do with customer-requested designs. I decided to start my personal dragon designs with a ring. Rings are my favorite pieces to do because the wearer can easily admire what she’s wearing. You can’t ogle your earrings unless you’re looking in the mirror. Necklaces are a challenge too. Even long ones must be viewed upside down. But you can spend all day staring at your hands if you want. Zang had asked for his cufflinks to be highly polished white gold with South Sea pearls. I decided to do something different for my collection so that Zang’s custom-ordered design would retain its uniqueness. I made my ring in 18K yellow gold, which is the material I work with most frequently. I like its warm color, which seems even warmer when a matte finish is applied. I also think it makes the diamond eyes really pop. Nearly 25 grams of gold were used in this piece. A Troy ounce is just over 31 grams, so the ring is about .80 ounce. Instead of a pearl, I had lapis lazuli cut into a round shape and engraved to look like a globe. The continents are outlined in yellow gold. My Empress Wu rules the world! 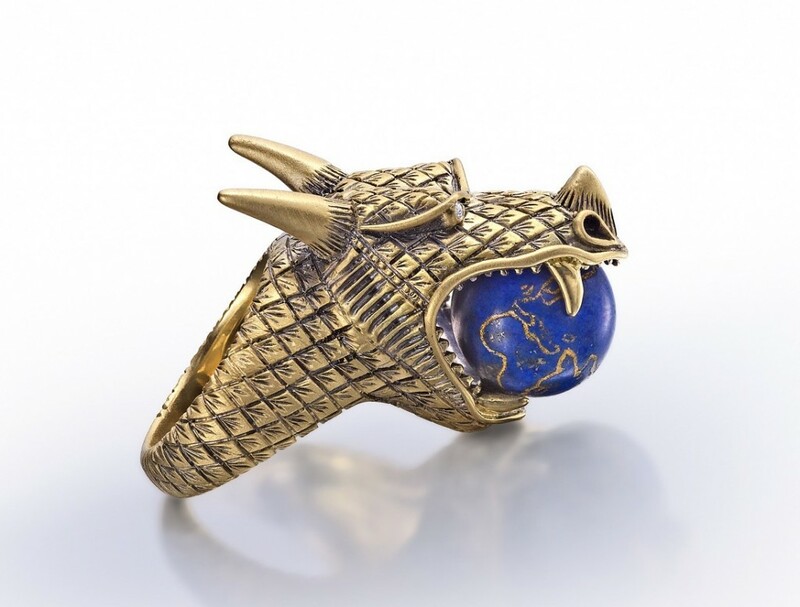 Empress Wu dragon ring by Wendy Brandes. Photo by SquareMoose. Of course, the globe turns! You should know me by now. I would never have a globe that didn’t turn. 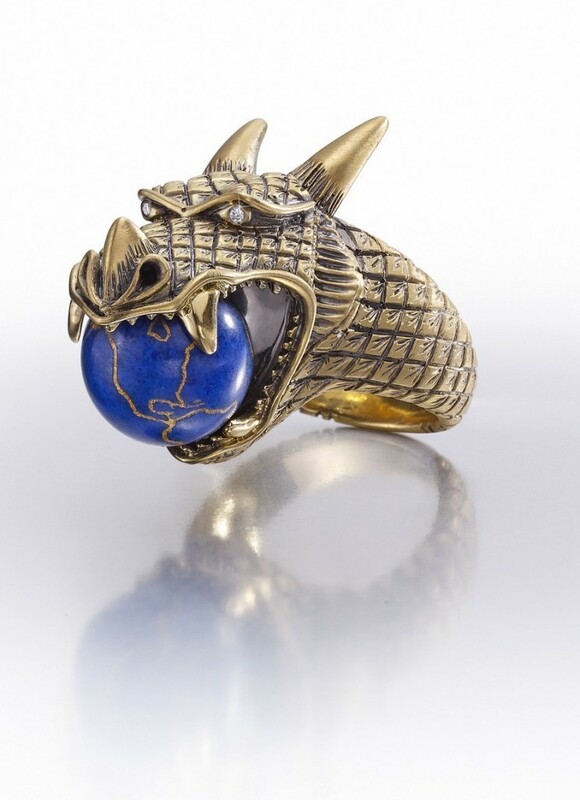 Side view of Empress Wu dragon ring. Photo by SquareMoose. When the dragon was a mere wax model, I made sure that the horns wouldn’t pierce the wearer’s finger. A fierce look is good; a ring that draws real blood is bad. Comfort is important to me. Now that I’ve worn the finished ring myself, I can testify that the horns stay safely off my hand, no matter how I move my fingers. If you still want to know about the dragon, contact me at wbjewelry at hotmail dot com. If you want something even more insane, wait till I finish the mechanical Wu tribute. Yep, it’s time to get back to that one. The Huffington Post has posted a list of organizations that are aiding Japan in the wake of the devastating earthquake and tsunami. Remember, donating money to such organizations is much more effective than trying to send food and clothing to places where there might not be much access. UPDATED TO ADD: I added Empress Wu dragon earrings to my collection in December 2011. And Vogue Paris featured the Empress Wu ring on its website in August 2012. So this is why you’ve been a stranger on Twitter! LOVE it! The detail on the globe must have driven you mad! Getting the globe to spin around was one of the hardest parts. Seems like it should be easy, but it’s not! This is just truly a magical piece! I love the slight transformation from the cufflinks, but both designs are just so stunning. I cant stop staring at the globe! OMG, the globe turns!!!! Oh, too fabulous for words!!! Would love to see this on a hand!! Any documentation? The blue is beautiful. Badass! Love how you keep outdoing yourself! Bravo! The ring is stunning! If I owned this ring I would while away the days admiring the diamond eyes and turning the globe. So cool … really really fierce. This is amazing. The contrast of the warm gold and the cooler-toned lapis is what sells it for me visually. I’m a fairly longterm reader, but I’ve always wondered – since you hand-carve the initial wax models, did you have a trained background in sculpture, before your journalism work? I’m impressed at the detail in the models, even though I suppose wax is easier to carve than, say, wood. I’m a trained editor, definitely not a sculptor. 🙂 I do the designs and contract specialists to execute them for me. It’s more like how clothes get made for a big runway show than an arts and crafts type of experience. And it feels a lot like editing to me, pulling resources from all directions to communicate a specific idea. I had the original dragon wax redone 4 or 5 times before I approved it. I forget a few of the changes, but there was definitely no horn on the nose originally. So I added that. Then I changed the shape of the eyebrows. Then I scrapped the ENTIRE THING because I didn’t like the flat shape of the snout, and I started over. Etc. So that’s how it goes. The manufacturer has nothing to do with those decisions. He just obeys! Thanks for answer this one – I’ve been through a lot of your Get Smart posts trying to figure out if you’ve already covered it. Blargl, “answer TO this one.” Prepositions are hiding from me today. Wow! Exquisite! If that’s not a work of art, I don’t know what it! 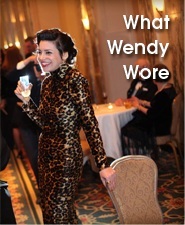 Beautiful design, Wendy! What a statement piece! It’s truly fantastic! Every time you come out with a new piece, I’m amazed, but the next one is always even better. Can’t wait to see the mechanical one! Yes, Zang is from Malaysia. 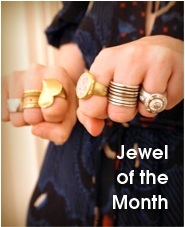 Oh wow, I love how all your jewellery is a work of art Wendy and I love the stories and inspirations behind each one! 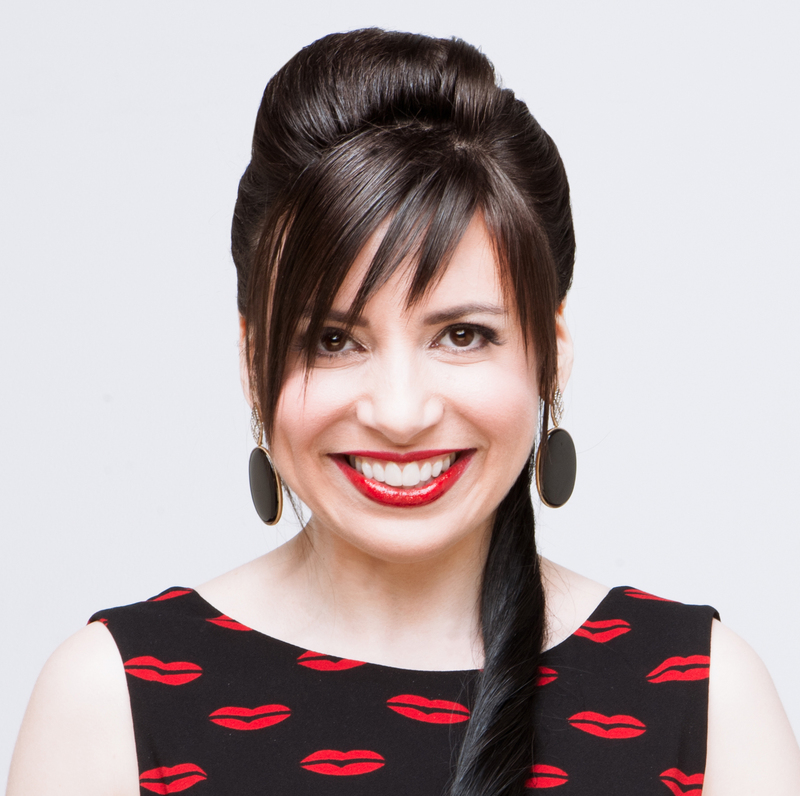 i *love* lapis lazuli … beautiful craftswomanship, wendyb! I just remembered you owe me a birthday present. This ring will do nicely. Oh yeah, we never had dinner. Let’s plan that and you can wear Empress Wu as a pinky ring while eating. This is my second favorite after the Queen Min ring!!! the cleverness of this is perfect. This is truly beautiful. The photo is quite good, but I’m sure it doesn’t do it justice. This ring needs to be in every magazine. Faboo, darling woman! !